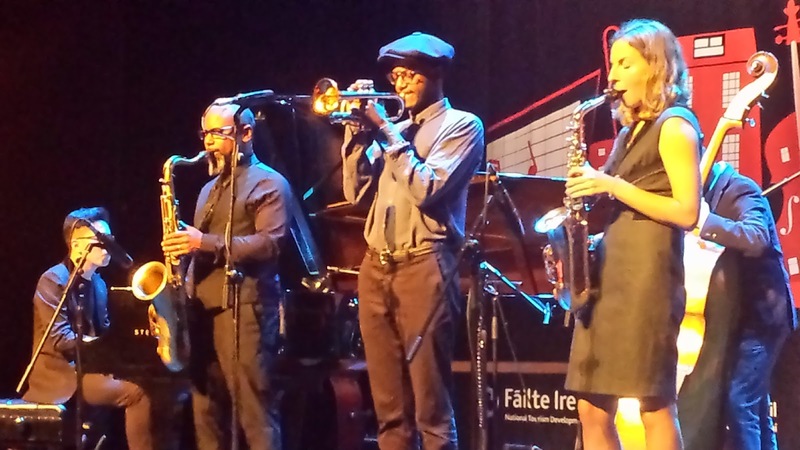 The Irish Times' Cormac Larkin is reporting some sad news concerning one of Europe's most long-standing, successful and dynamic jazz festivals, the Guinness Cork Jazz Festival. His full story is HERE. Although there has been no official statement from the Festival, the Irish times is reporting that the contract of Festival organizer Jack McGouran is not being renewed. The history of this festival, started in 1978 is really quite something. Ella Fitzgerald and Dizzy Gillespie both appeared....and Joe Zawinul... The Cork Festival is a major national event. The year I went in 2012 it was officially opened by the Irish Prime Minister. Jack McGouran's distinguished association with it goes back around thirty years, and his long-term contribution to the scene is immeasurable. The Cork Festival has been one of the best anywhere at creating the balancing act between popular acts and top quality well-chosen jazz, and doing it successfully for many years. The contract is strongly rumoured to be going to AMA (Audionetworks Music Agency - ) whose involvement / enthusiasm/ experience in/for jazz until now appear from their website" to be non-existent. It is to be hoped that there can be at least some continuity for this unique and important Festival. In recent years it had become a pop festival. Last year it went back to being a Jazz Festival. Do Guinness care if it's a Jazz or pop festival?